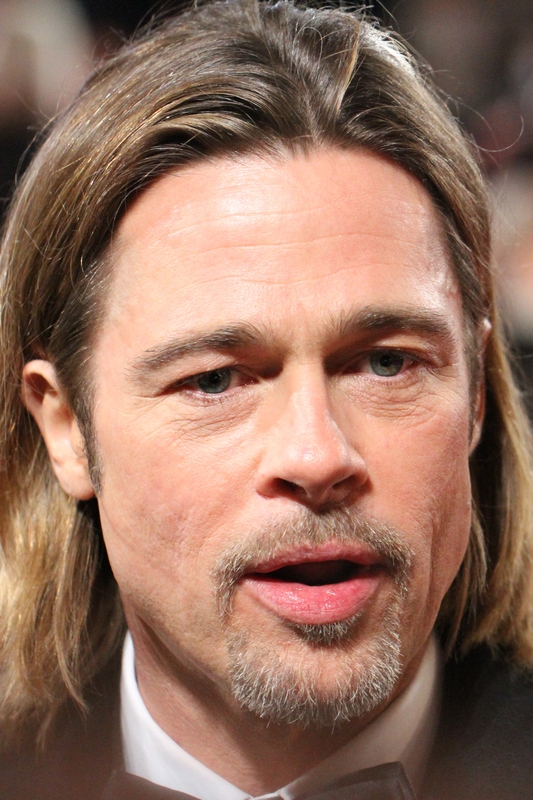 Brad Pitt has become one of Hollywood’s best loved actors over the years and it isn’t difficult to see why. His chiselled good looks, slick blonde hair and quiet confidence have all ensured he is never short of work. Here, he teams up with director Marc Forster who helmed the disappointing James Bond sequel, Quantum of Solace, in the latest zombie film to hit the screens; World War Z, but is it any good? Pitt plays Gerry Lane, a former UN investigator who has chosen the quiet life and retired early to spend more time with his wife and children. Whilst taking his wife Karin and two daughters Rachel and Constance out in the car, they become stuck in heavy traffic which marks the start of the mayhem. From then on this 116 minute thrill ride puts the viewer on the edge of their seat more times than an Alton Towers rollercoaster. After fleeing the hordes of ridiculously fast and ridiculously terrifying undead, Lane and his family board a US aircraft carrier where they are told they will be safe; however, as always, there is a price to pay. Gerry must start work once again to try and find the epicentre of the zombie virus – otherwise, the entire world will be lost. From here, Gerry’s mission is to travel across the globe trying to find what it is that has infected nearly 100% of the planet’s population. What plays out could be described as a formulaic horror film, but it is so much more than that. Whilst it’s true that there isn’t enough character development, in fact there is only 5 minutes of it right at the beginning, director Marc Forster has cleverly allowed the audience to make up their own minds about the family’s back story and whether we care if they survive or not. World War Z is not a film for the faint hearted, and whilst blood and guts are quite sparse for a movie with a 15 certificate, there are some truly terrifying moments, many of which will have your heart pumping through your chest. There are scenes here that really get the adrenaline flowing, one of which involving a stowaway zombie onboard a commercial jet will leave you biting your lip, grabbing your seat and looking through your fingers in shock, horror and intense excitement. It’s safe to say I came away with very bitten fingernails. Special effects are on par with some of the better blockbusters of the last couple of years. They aren’t as in your face as those in Transformers, nor as lacklustre as the CGI in I am Legend, they are right in the middle and because the effect is used incredibly subtly, you don’t notice when extras stop playing the zombies and the animators take over. However, it is in the acting that this film really succeeds. Pitt is fantastic as Gerry Lane, his quiet sense of confidence never turns into arrogance as he fights for survival and this will hold the character in high esteem with audiences. He doesn’t pretend to be an action hero, heck, he even makes the kind of mistakes that any human would do if they were under pressure, and thankfully he does all of this beautifully; his characterisation is absolute perfection. The rest of his family are also excellent, Abigail Hargrove and Sterling Jerins who play Rachel and Constance respectively are very good indeed; you truly believe they are missing their father and cannot wait to see him return. The rest of the cast do very well with the limited roles they have, but let’s not forget that this is a Brad Pitt one-man show and he is more than up to the job. Unfortunately, the cinematography really lets the film down. There is far too much handy-cam in the first 30 minutes, something which I hate. Directors often use it to sustain a sense of alarm and terror, but Marc Forster has used it to such an extent here that it made me feel physically sick. Moreover, whilst the story is solid, it is nothing more than that, and often the plot takes a back seat to the impressive action pieces meaning that the film seems to go through the motions of 10 minutes plot, 10 action, and so on. 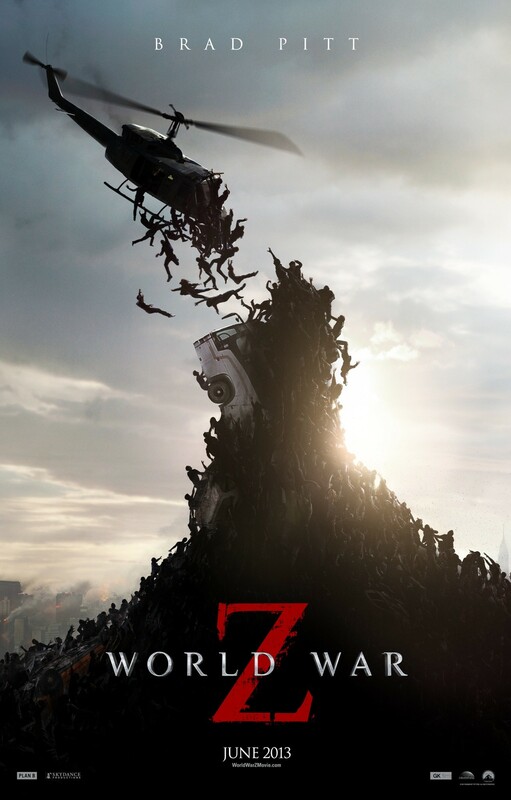 Overall, World War Z is a very impressive film. The sheer scale of the virus means that Marc Forster has utilised some beautiful scenery from across the globe. Whilst it may be slightly too long for a zombie film at just under 2 hours, and have a distinct lack of character development; the impressive story, brilliant acting and very good special effects help lift it above the norm. This is a ride better than any rollercoaster, and is 100% worth the increasingly expensive price of a cinema admission ticket. OVERALL: 46/60 Don’t let the handy-cam put you off, this is a great film. Excellent review, I’ve been meaning to see this one. Thanks very much for your kind comments. It’s definitely worth a watch! Enjoy it!